In the 10th edition of the Ava Lee series, Ian Hamilton’s female ace is asked by Chang Wang, her mentor’s oldest friend, to investigate a suspected terrorist training centre on a remote island in the Philippines. 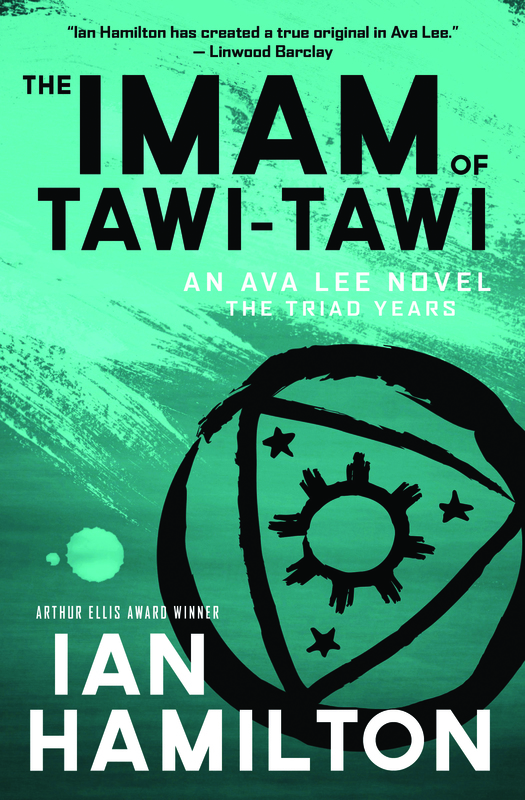 Having just begun a new romance with a popular Chinese actress, Ava is focused on pleasure over intrigue, but she agrees to meet with Senator Miguel Ramirez in Manila to learn more about the mysterious Zagat Muslim College on the island of Tawi Tawi. In her signature dogged and resourceful style, Ava uncovers much more than she expects as she enlists the resources of the Philippine Muslim Brotherhood and a CIA agent who stands to gain personally by collaborating with her. The Imam of Tawi Tawi moves slowly at first, as Senator Ramirez briefs Ava on what he suspects is taking place on the island. After extensive background information about the senator’s business interests and his political past, the story picks up speed when Ava’s inquiries extend from Asia to the Middle East then Europe, and land squarely back in Washington, D.C. Secret operatives, police chiefs, bankers, terrorists, political power brokers and government officials are all interconnected in this unexpected plot, which is excellent fodder for genre fiction but is hopefully much too farfetched and horrifying to ever take place in the real world. Ian Hamilton is a master at weaving politics with international travel and current affairs with mystery. He is strong on details as he brings the reader into Ava’s adventure. Hotel rooms, traffic, airports, meetings and city streets come to life as she travels from one place to the next in search of answers. Ava’s affinity for luxury brands, pencil skirts and expensive cufflinks define her preferences and contrast her as a fish out of water against the intrigue of the plot and the horrors of terrorism. While there are a few stereotypical characters in the story—a Washington operative has little patience for Ava meddling in a terrorism investigation—there are also surprises: the egoless Canadian Embassy man who connects her to the CIA agent, and the senior-level bureaucrat whose sensitivity and thoughtfulness surprise her. It’s not necessary to be an Ava Lee fan to enjoy the Imam of Tawi Tawi. Whether it’s your first exposure to Ian Hamilton or the 10th, the story delivers an adventure that’s beyond reality. Nicola Bentley lives in Whistler and enjoys writing and reading as much as playing outdoors. BBC Culture named Hamilton “One of the Ten Mystery/Crime Writers from the Last Thirty Years That Should Be on Your Bookshelf.” He will be appearing in the Crime Writers Lunch on Oct. 13 at 1 p.m. at the Whistler Writers Festival. Tickets: whistlerwritersfest.com.